Today was our first day really exploring Springfield, other than figuring out where the closest Wal-Mart Supercenter is located. 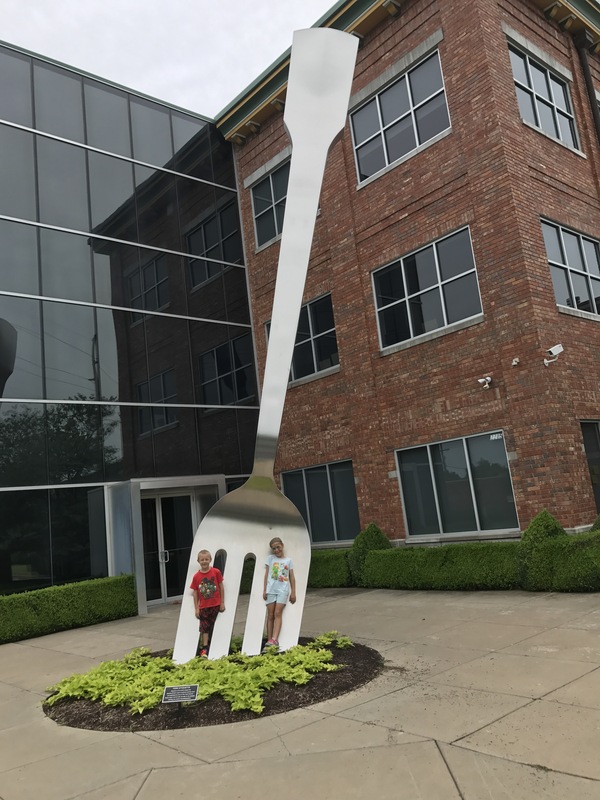 We visited the local farmer’s market as well as here, the “World’s Largest Fork”. It stands 35 feet tall and is made of polished stainless steel. It can be found in front of The Food Channel headquarters, which is apparently different than the Food Network.